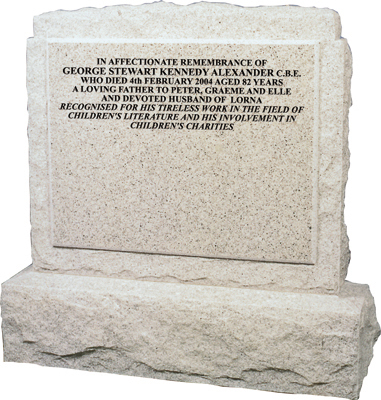 This very popular traditional design, shown here in norden grey granite, has a substantial 150mm ( 6” ) thick headstone, with a raised polished lettering panel. It has a sanded back with the remainder rustic. The rustic base has a weathered (sloping) top to complement the design.